HOME Blog What Is NEO And Is It A Good Long Term Investment? Most cryptocurrency investors have had a tough time so far in 2018. But to those who believe in the future of digital assets, today’s falling prices could present long-term buying opportunities. If you fall into this category, then you’re probably asking yourself which cryptocurrencies to buy on the dip? 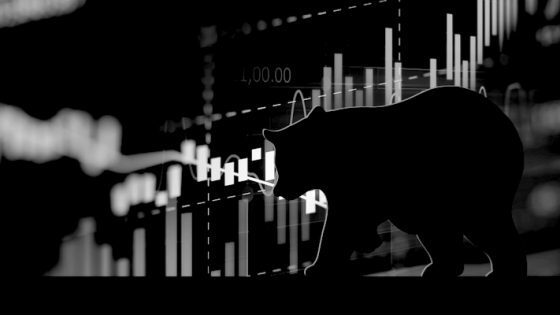 Throughout the current cryptocurrency “bear market”, I’ve been looking more closely at some of the different cryptocurrencies on offer. Is NEO a good long-term investment? Let’s find out. The usual disclaimer: it goes without saying that, as always, none of this information is investment advice. Investing in cryptocurrencies is extremely risky and you should always rely on your own research or that of a professionally licenced financial adviser before making any investments. I personally own NEO along with several other cryptocurrencies in my Crypto Portfolio. There are plenty of “golden rules” about investing. But one that stands out for me is this: never invest in anything you don’t understand. This advice is a well-known mantra of Warren Buffett, who by the way has publicly admitted several times on CNBC that he neither understands nor would ever consider investing in cryptocurrencies. Make of that what you will, but either way, if you’re going to consider investing in NEO – or any cryptocurrency for that matter – it’s worth understanding how it works. NEO is a cryptocurrency with its own blockchain. A cryptocurrency is a type of ‘digital asset’ that can be used to transfer value online without the need for a centralized middleman, such as a bank. Blockchain is the ‘decentralized machine’ that can facilitate cryptocurrency transactions by cutting out said middleman. It is a public online record or “ledger” of who owns what. The ‘what’ doesn’t have to be in the form of financial value (like bitcoin for example), it can also be in the form of digital rights or data. NEO has been dubbed the “Chinese Ethereum” by crypto investors because it shares some similarities with Ethereum. Second, Ethereum is a programmable blockchain. Tech savy coders can use their programming skills to build their own applications on the Ethereum platform. Because the Ethereum apps are decentralized (not controlled by a middleman e.g. the Apple app store), the apps are called ‘decentralized apps‘ or ‘dApps‘. Dapps can have their own native crypto tokens but still rely on the Ethereum blockchain to function. This gives the Ethereum platform enormous value. NEO shares the above two characteristics with Ethereum; on the NEO platform, computer coders can also build smart contracts and dApps. Side note: other cryptocurrencies like LISK and Cardano also share the above two characteristics – but those are stories for another day! Just like Ethereum, the NEO platform facilitates smart contracts and dApps. But what makes NEO different to Ethereum and other cryptocurrencies? Before we get to PoS, let’s first discuss Proof-of-Work (PoW) as this will be important as a comparison. Earlier I mentioned that blockchain doesn’t need a middleman, such as a bank, to process transactions. If I send bitcoin to you over the blockchain, for example, that digital currency goes straight to your Bitcoin wallet address. There is no bank in the middle of the transaction needed to debit my bank account and credit yours. The transaction is processed and recorded on the blockchain. But how is this possible? How can digital currency be transmitted without a middleman? Ethereum (like Bitcoin) uses something called Proof-of-Work (PoW) to do this. Without getting too technical, PoW is an algorithm used in the cryptocurrency mining process. It essentially involves a cryptographic puzzle miners try solving to be rewarded new cryptocurrencies. Cryptocurrency transactions occurring over given time frames are grouped into blocks. Each block comes with its own cryptographic puzzle. Miners compete using special mining software and vast computing power to find a solution to the puzzle. The miner who finds the solution broadcasts it out to the entire cryptocurrency network. The network confirms the solution and rewards the miner new cryptocurrency and the total transaction fees for the block. The block is added to the blockchain and the transactions within the block are confirmed. With each successive block confirmation, transactions within all previous blocks become exponentially harder to reverse. In a nutshell, what the above is saying is that miners are responsible for confirming transactions on the blockchain. This makes them an essential piece of the blockchain’s architecture. Since miners are spread out all over the world, there is no need for a middleman. Put another way, PoW achieves decentralized consensus of the state of the network. There are many arguments which favour PoW as the best mechanism for blockchain’s decentralization – we won’t go over these here – but one concern stems from PoW’s high electricity usage. The mining competition involved in PoW has caused miners to use ever more powerful (and more expensive) mining equipment and computing power. This has set barriers to entry for ‘ordinary miners’ trying to mine cryptocurrency using their home computers. In turn, this has given rise to large mining farms run by single companies, which own disproportionate power in what are meant to be decentralized blockchains. The company Bitmain in China, for example, owns both the Antpool and BTC.com mining farms, which together own over 30% of the mining power of the entire Bitcoin network. In theory, a mining farm with more than half the mining power could control the network, which would make the blockchain less democratic, and potentially less secure. PoS is an alternative method of achieving consensus-based decentralization on a blockchain. PoS does not favour those with the most computing power, but rather, those with the most wealth! With PoS, users “stake” cryptocurrency for a potential claim of the rewards for each block of transactions. The more cryptocurrency they stake, the higher the probability of them receiving the reward, which is usually in the form of all the transaction fees for the block. 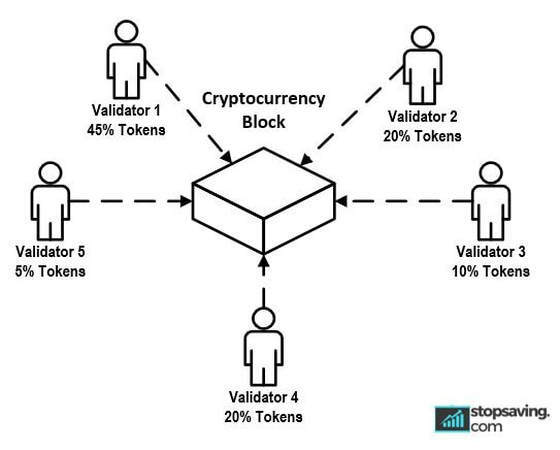 The people staking the cryptocurrency are called “validators” – they confirm the transactions on the blockchain. But what if one person owns 51% of the cryptocurrency in a PoS based blockchain? Surely they could control the entire network for their own benefit? With PoS, you would lose your stake if you did something that was wrong for the network; for example, trying to ‘double spend’ a transaction for your own profit. In this case, losing an amount of wealth equal to 51% of the network wouldn’t be worth the hassle — the potential return on investment would be far lower than the amount of cryptocurrency you would need to stake upfront. Because of the economies of scale that come with purchasing computer power in bulk, it is theoretically easier for one company to own more than 50% of the network power through PoW than it is through PoS. I’ve included an example in the box below to explain how PoS works in more detail. A random calculation, much like a wheel of fortune, then selects the winner. As fortune would have it, validator 3 (with a 10% stake) wins this time. Over many calculations, however, validator 1 would win 45% of the time given the probabilities shown from each stake in the above diagram. Why is NEO’s version of PoS interesting? Normally with PoS, each unit of cryptocurrency has the same amount of voting rights. If Jimmy and Jane each own 1% of the tokens, they each have 1% of the network’s staking power. Now suppose there are 100 tokens of a cryptocurrency, and each person owns 1 token. In this case, it may be difficult to achieve consensus on network decisions. These decisions could range from the confirmation of transactions to the upgrading of a cryptocurrencies’ protocol. Remember that unlike companies, there are no executive boards to make decisions, so there needs to be an alternative to ‘make things happen’. NEO’s version of PoS gives each NEO token holder a proportionate amount of voting rights to ‘elect a board member’ as it were. To do this, NEO uses something called a Delegated Byzantine Fault Tolerance (dBFT) algorithm. Through dBFT, NEO token holders can vote for delegates, called bookkeepers, to manage the network. This means decisions can be made faster. For example, NEO can process up to around 1,000 transactions per second compared to Ethereum with around 30. Bookkeepers make NEO fast and efficient, but they also make NEO more centralized. This is a trade-off for investors to consider. A fork is a way of altering the path of a blockchain. 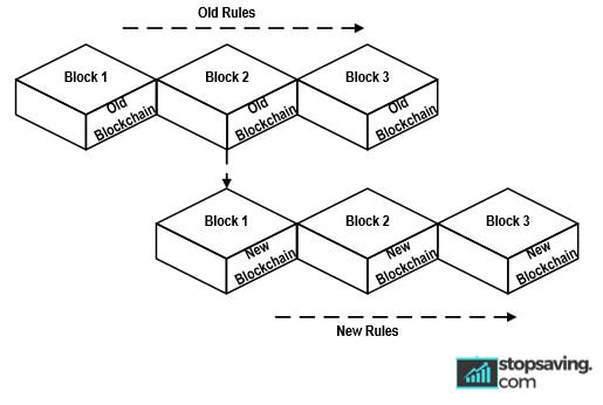 This can be in the form of a simple network decision, such as choosing which solution to validate in the event of two miners solving a block puzzle at the same time, or upgrading the protocol of the network to fix bugs, make improvements, and so on. 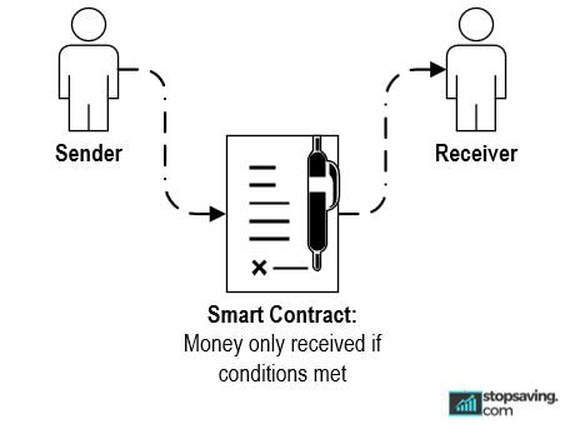 Forks involving transaction disputes are mostly temporary and usually resolved quickly. Permanent forks, however, can be a bit more complicated and may cause uncertainty for a network. 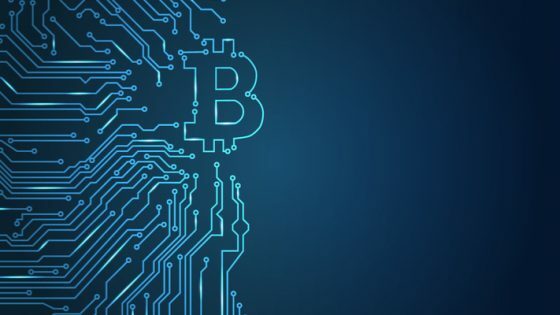 Sometimes, disagreement amongst network participants over whether to approve a permanent change to the network can result in the creation of a brand new cryptocurrency ‘forking’ off of the old blockchain. This happens when two opposing camps of the network disagree on something so much that they go their separate ways by splitting into two separate blockchains. Without going into too much detail, this is how Bitcoin Cash was created – it was forked off of the original Bitcoin blockchain following a network disagreement over a proposal to increase the block size limit of Bitcoin. Forks are an in-depth topic which I cover in my latest book. But for the purposes of this article, you just need to know that some forks can cause issues and uncertainty for a blockchain network. At the same time, forks may also cause issues and uncertainty for investors. Why are forks not a problem for NEO? With NEO’s bookkeeper system, a ‘board decision’ can only be made if 66% of bookkeepers approve it. Further, once a decision is made, it becomes final. In other words, there is no room for compromise over a network decision. Hence, there can be no forks with NEO. Anyone in crypto knows that most governments don’t like it. Why would they? It threatens their ability to steer the economy. I could go on for days about the pros and cons of the effectiveness of central banks in using monetary policy to get us out of recessions – or into them depending on how you look at it – but that is neither here nor there. The point is, as an investor, it’s important to recognise that governments have profound relevance in the market. We have seen in China, for example, how government policies and regulation can significantly affect the price of cryptocurrencies. Bookkeepers who abuse their power can be held accountable by the law. Financial assets can be registered on the NEO blockchain in the names of their owners, and can be easily transferred legally via smart contracts. Both of the above points would make NEO a highly transparent platform for regulators and governments. If NEO encourages regulatory compliance, it makes sense that companies wishing to stay in compliance would adopt its platform. I’m not saying that other cryptocurrencies like Ethereum and Bitcoin make regulations impossible, just that NEO was actually designed with the intention of facilitating regulatory compliance. As an investor, you can make of this as you will. I mentioned before that both Ethereum and NEO are programmable blockchains — meaning developers can build smart contracts and dApps within each platform. With Ethereum, developers need to use a specific coding language called solidity. But with NEO, they can use several programming languages such as C#, VB.Net, Java, Kotlin and F#. More programming language options for developers means fewer barriers to entry for developing the NEO platform. 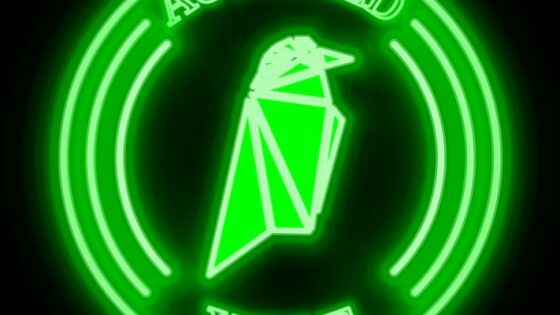 Since cryptocurrencies like NEO are open-source — meaning anyone can work on the code — this could invite more skilled developers. NEO also has an open source development community called City of Zion (CoZ), who work together to build its platform. Side note: looking at Coingecko developer ratings, Ethereum currently appears to have more interest than NEO from developers. So far, we’ve explored some of the key features of the NEO platform. This is by no means extensive, so I recommend reading this article by Aaron Mangal from CoinCentral as an additional resource. Now, what about NEO the cryptocurrency? Why would one consider owning it? One of the main reasons investors own stocks is to receive dividends. Dividends are a portion of company profits that are paid out to shareholders as a reward for investing in a company’s shares. Over time, dividends add up, especially if you reinvest them! Just like shareholders vote for company board members, NEO token holders vote for bookkeepers to represent their interests. NEO holders, therefore, indirectly participate in the decision making of ‘the company’. Unlike many other cryptocurrencies, the NEO token is not used for transactions. Neither are stocks. Holders of NEO generate passive income in the form of GAS, which is also the crypto ‘currency’ of the NEO platform. Gas is used for transactions within the NEO ecosystem. For example, if a company wants to register their assets on the NEO platform, they must pay the bookkeepers in GAS. The bookkeepers then take a small cut of that GAS for the work they do (transaction fees), and the rest is distributed out the NEO holders. If GAS and NEO were always the same prices, that would be equivalent to a 14.72% average yearly ‘stock dividend’ (where you get more of the same stock), which completely and utterly destroys anything you would receive from the stock market. As you can see from the chart, GAS is sometimes less than half the price of NEO. 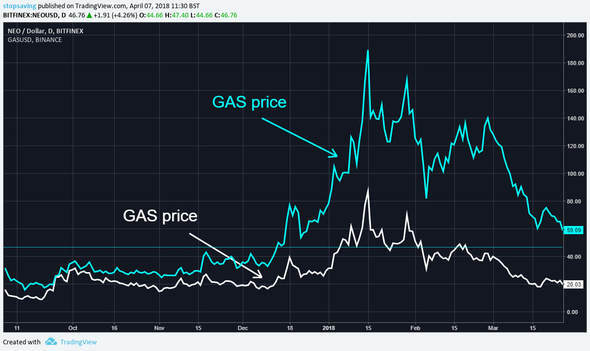 Since both GAS and NEO each trade separately on cryptocurrency exchanges, it’s hard to say how this ratio will play out in the long run. A potential strategy I might use to play this ratio in my favour is to sell my passive GAS income when the GAS price is closer to the NEO price, and then use that money to buy more NEO. Over time, this would theoretically have a compounding effect, similar to reinvesting dividends into a stock. Again, not investment advice – just something I am considering! How do you claim GAS dividends? If you transfer your NEO from an exchange to a cold wallet like Neonwallet, you will automatically earn GAS. Otherwise, you can also earn GAS dividends if you buy and hold NEO on the Binance exchange. It’s all well and good owning NEO and receiving dividends in GAS. But will you be able to use that NEO and/or GAS to fund some of your retirement in the future? First, there are factors to consider about whether cryptocurrencies will have more value in the future than they do today. This is another debate entirely, and one I would like to cover in an upcoming article. But for now, I can tell you that I am bullish on the long-term potential of some cryptocurrencies. I do think it will be a bumpy ride, however, and many cryptocurrencies will have little or no value in years to come. I think the cream will rise to the top of the crypto market and that many fortunes will be made and lost in the process. We have already covered some of the fundamentals relating to the inner workings of NEO. We now shift the focus to NEO’s plans, partnerships, traction, hopes and dreams. Businesses and countries conducting trade agreements via smart contracts. Automated and immediate settlement of stock and derivative orders on the blockchain. Instant digital transfer of deeds and title to property upon a sale. IF the required total amount of money is raised from investors, the ICO goes ahead, and the smart contract sends a given amount of tokens back to each investor. IF the company does not raise enough funds from the ICO, the ICO does not go ahead, and the smart contract returns the original funds back to all the investors. There are many smart contract platforms which have the functionality to potentially power the smart economy (Ethereum, Lisk, Stratis, EOS, Cardano and so on), but as we discussed earlier, NEO has a unique advantage: digital identities. By encouraging users of the NEO platform to register digital identities with bookkeepers, NEO could be well positioned to power the smart economy. Digital identities would give NEO the stamp of approval it needs from governments and regulators. Since companies want to stay on the right side of compliance, it stands to reason that they would use the NEO platform. If NEO were to become more widely adopted for this purpose, the demand for GAS would significantly increase as more people would need GAS to pay bookkeepers to register their assets. Since NEO creates passive GAS income, the value of NEO tokens would increase too. NEO already has several key partnerships which have set the wheels of its adoption in motion. Onchain: NEO’s founders, Da Hongfei and Erik Zhang, originally started a company called Onchain. Per its website, Onchain “designs and develops blockchain solutions for businesses.” In the NEO economy, Onchain would link private company blockchains to the NEO public blockchain. This means companies could transact on the public blockchain, but still keep confidential data on their own private blockchains. Became a strategic technical partner of Microsoft. Was voted one of KPMG’s top 50 fintech companies. Has worked with the Japanese Ministry of Economy, Trade and Industry. Was among the first batch of companies to pass the Chinese blockchain test. Onchain is also collaborating with the Chinese government to develop digital identities. Coinfirm: Coinfirm is an Anit-Money-Laundering (AML) risk and compliance platform. Together with regtech specialist company QRC, Coinfirm and NEO are working towards a regulations compliant blockchain smart economy. The Key: The Key project team is working with NEO to develop a decentralized digital identification verification tool which is authorised by government authorities. The NEO team clearly has a busy schedule, but do they have enough funds to achieve their targets? In an open letter to NEO holders from the NEO council last year, NEO announced a ‘sponsor give back plan’, in which ICO investors (the sponsors) were returned the initial amounts of their investments. This has been labelled as a tactic to ensure regulatory compliance in China given the Chinese ICO ban for public investors — by giving the ICO investors back what they originally put in, the Chinese government cannot say that NEO took money from the public to fund its expansion. 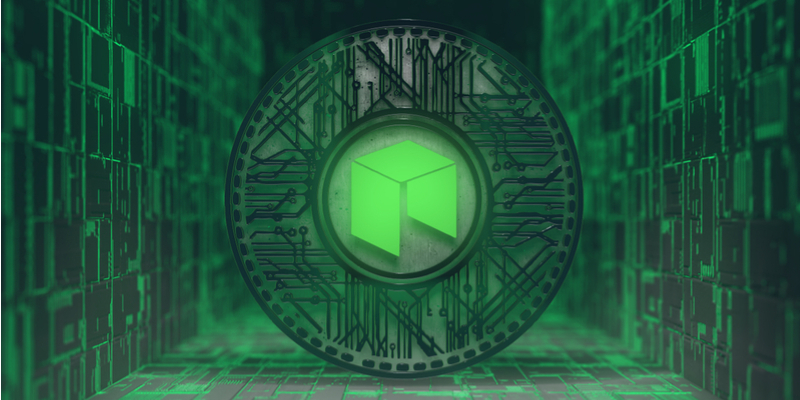 The letter confirmed that NEO has enough money and resources to sustain their research and development efforts in the years to come. This is clearly the case given they were able to give investors their money back! It seems NEO is well positioned to become a major player in the East. But nothing is guaranteed – especially when it comes to investing! Unfortunately, much of NEO’s future rests in the hands of the Chinese government. But given NEO’s inclination towards regulatory compliance, this could prove to be an advantage. If you are considering investing in NEO — or any other cryptocurrencies — then it makes sense to use a diversified investment strategy to help minimise the potential risks. Personally I use Binance – its the worlds largest crypto exchange right now and their management team seems to know what they are doing. Binance currently only accepts crypto deposits. I would usually buy Ether from Kraken and then send Ether to Binance. 1. Copy your Ethereum deposit address on your Binance account. 2. On Kraken, click funding >> withdrawal >> Ethereum. 3. Paste your Binance Ethereum deposit address into Kraken as the address you want to send the Ether. 4. Go to Binance and in the ‘funding’ tab, watch as the transaction confirms. This should take around 5 to 10 mins but sometimes there is a delay. You will then need to buy NEO (or any other altcoin of your choosing) with Ether once it gets to your Kraken account. Excellent! Very helpful – just what I was looking for. Thanks. Did you look at ontology. If neo does well, then ont should also fare well? Ont has a bigger percentage increase potential? Jon, was wondering if ETN’s are generally considered “safe” as in the underwriter offering them won’t go bust? Since they don’t actually buy the asset? Currently, Hargreaves Lansdown offers “XBT PROVIDER AB BITCOIN TRACKER EUR” which is an ETN. Doubt HL would ever offer something that had shaky foundations?